It may be mid-August, but there’s no sign of Ironman® races slowing down. On Sunday, August 25, a cadre of TeamEN members will descend on Whistler, British Columbia for a west coast showdown. The sold out Canada will be a test of might for the athletes, but as usual, TeamEN members are ready to rock it. The weather looks partly cloudy and cool, ideal for a spectacular Ironman® triathlon. 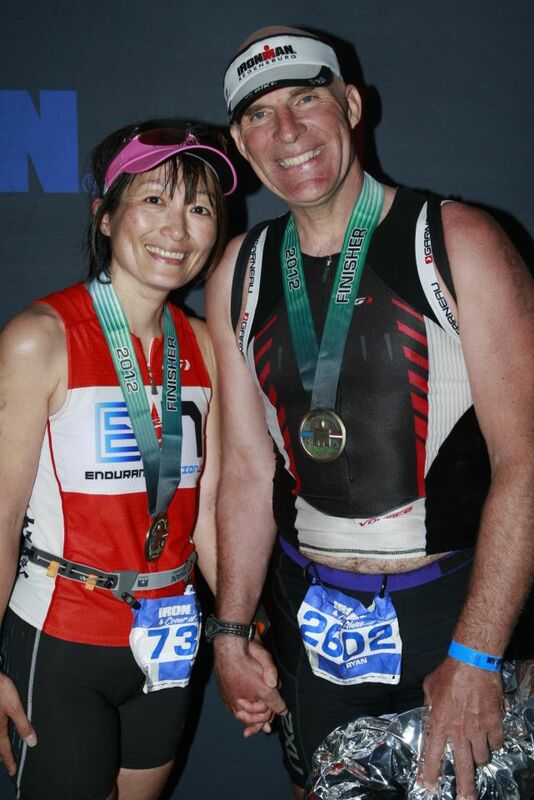 Let’s meet the members of Team Endurance Nation heading to BC for Ironman® Canada. This will be ninth iron. Hoping to survive the bike and bring something special to the run. From Maui and would like to go back home someday. Wife Lisa Watson racing too. This will be my 5th Ironman. My goal is to beat my best time!!! Presently hailing from Springfield, MO, but born and grew up in New Jersey and have lived several places east of the Mississippi. I completed my first triathlon in 2007 and was hooked! I have competed in all distance races, but IM Canada (Whistler) will be my third full distance triathlon. Great race execution is as important to me as time though I would like to improve on my 12:54 finish from last November at IM Cozumel. My profession is general clinical neurology, and I am married to my wonderful wife Valerie who will also be participating in IM Canada. We have three (grown) children, two cats, and two dogs. Looking forward to meeting Team EN next month! I have been an Oregonian all my life. Now residing in Portland, Or. Grew up out in the middle of nowhere as a wheat farmer’s daughter of 7500 acres. So one keeps active and finds ways to entertain. Sports. I am a RN working in the PACU. I have 2 kids, 22 and 16 who think I’m nuts with my training/events. I started triathlons 3 years ago…jumping right to the Olympic distance and won my division on my first race. Last year and this year half-irons….i take FOREVER to warm up so the longer distance…the better. My goal is to not carry a glow stick. I’m Katharine, from Dublin, Georgia. I am a stay at home mother of 3. 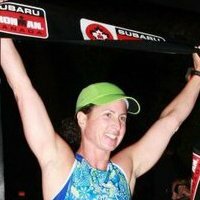 I have been in triathlon training for 5 years, 2x finisher at Augusta 70.3. This will be my first IM. I’ll be racing alongside (but not next to) my husband John. My goals are to take in the day, remember and execute what I’ve learned and enjoy the scenery! I’m Dan Cioaca, from NYC. I’m 34 years old and this will be my 8th Ironman® finish. I have been competing in triathlon for 8 years, and after my first full season, I’m looking forward to a well-executed race day. I also hope that this will be something of a comeback race for me after a humbling DNF at IM Texas. It has been a season of ups and downs, both athletically and professionally, and I’m looking forward to this opportunity to end things on a high note as I look ahead to next year. My background is primarily one of swimming (in HS) and a bit of running here and there over the years. After having trained on the course a few times, my primary goal is to execute well on the bike. With the many climbs throughout and 20-mile climb home into a headwind, I’ll be very happy if I show up in T2 excited about the run, rather than scared of it. Looking forward to seeing all you folks at the finish line on race day! Dublin Georgia, I have a little over 2 years in the sport, This will be my second IM, I did IM WI last year. I live and play on the west-coast in beautiful West Vancouver. I’m a former hockey player, turned endurance athlete in 2006. Raced everything from 5k to 100 mile ultra-marathons and lots in between. 4 years ago I learned to swim and jumped on a bike for the first time in 20 years. I’m a dreamer of dreams. I’m a husband and father (of a 6 month old and lovin it). I believe whatever your mind can conceive you may achieve. I’m a creator of big audacious goals and goal CRUSHER. I’m a lover of life. I believe we’re all here to serve each other. I believe that pain in life is inevitable, but suffering is optional. Dr. Sukhi Muker is an award winning doctor, published author, and international speaker. At 18, he was a high-school dropout immersed in crime, violence and drugs. After hitting rock bottom and almost losing his life, he started a remarkable, life-changing journey. 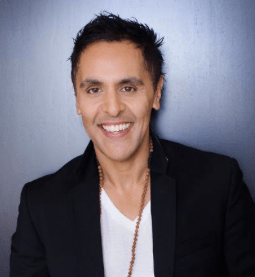 Over the past 21 years Dr. Sukhi has dedicated his life to understanding universal laws as they relate to maximizing human health, happiness and abundance. He’s read and referenced well over 2000 books and studied over 200 different disciplines and today bridges science, spirituality and human potential. He’s a true innovator creating a second-generation health care paradigm and his work has touched the lives of 100’s of thousands of people worldwide showing how we’re designed to live more radiant, authentic, purposeful and powerful lives. He lives in West Vancouver and practices there at his Centre for Optimal. He’s best selling author of; Beyond Body, Beyond Mind… Overcome Uncertainty, Transcend Challenge and Hardships & Fulfill Your Dreams! Hi Team, Yasko Howell, live in Olympia, WA, about 6.5 hrs drive from Whistler. This is going to be my 6th IM (AZ, Japan, Lou, Regensberg, CDA). I have been doing tri since 2001, started IM distance in 2006, and have been enjoying competing with my hubby. (He is not racing with me this time, but he will be doing IMAZ). I was hoping for PR at this race with some bike improvement, but after doing the actual bike course a month ago, that is no longer my goal 🙁 My plan is to stick with the race plan, pay extra attention to hydration/nutrition getting ready for the final 20 mile climb and leading up to a good run. Other than that, I am planning to enjoy this spectacular course and celebrate my health and fitness (and cups of gelato after the race :)) Looking forward to meeting with EN folks! Hey folks! Doing my 4th Canada on minimal training – but at least Team EN Style training! Did my first Canada in 2006 when I couldn’t swim 25meters… My last Canada in 2010, I PB’d with an 11:58 – not looking for anything close this year due to toughness of Canada Whistler course and less than ideal amount of fitness, but just hope to have some fun and I’ll be back for next year with my “A” game (aka, Team EN Game). I’m from Black Diamond Washington and have been in the sport about five years. I’m in. This will be my fourth IMC, obviously the first in Whistler. My PR is 11:35, goals are execution oriented but looking to take about 20′ of my run, specifically. Looking forward to the EPIC scenery and seeing some bears at a safe distance. Hello from Race Captain Tim and Sharon. We live on beautiful Vancouver Island on the west coast of Canada. I have been with EN since 2010 and have been tri’n since 2003. 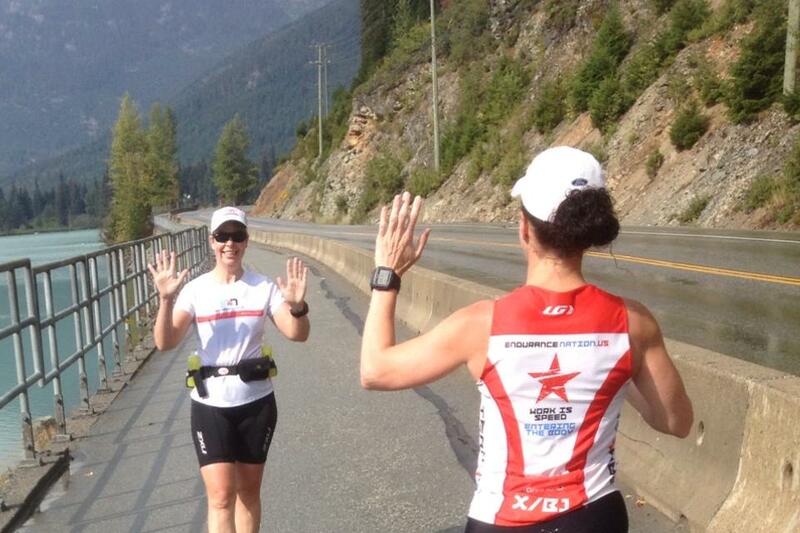 Whistler will be my 6th Ironman® Canada. 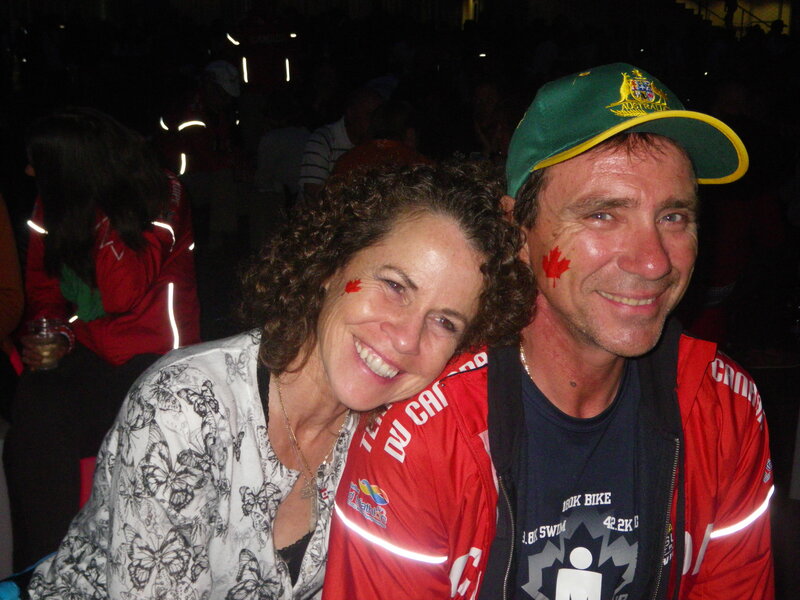 On June 1st I was on team Canada at the ITU World Long Distance Triathlon Championships. Poor and very un-spring like weather caused the event to become a world long distance duathlon and I did not have the day planned for. Going into the event I had pretty much decided I was done with long distance stuff. Upon our return home in late June, an opportunity to grab a spot at Whistler presented itself. More so than anyone, Sharon knew I was not happy with my performance in France and essentially convinced me to take the spot. That all being said, I am approaching this, my last event as I did my first Ironman® in 2004 “Have fun yet go hard”. 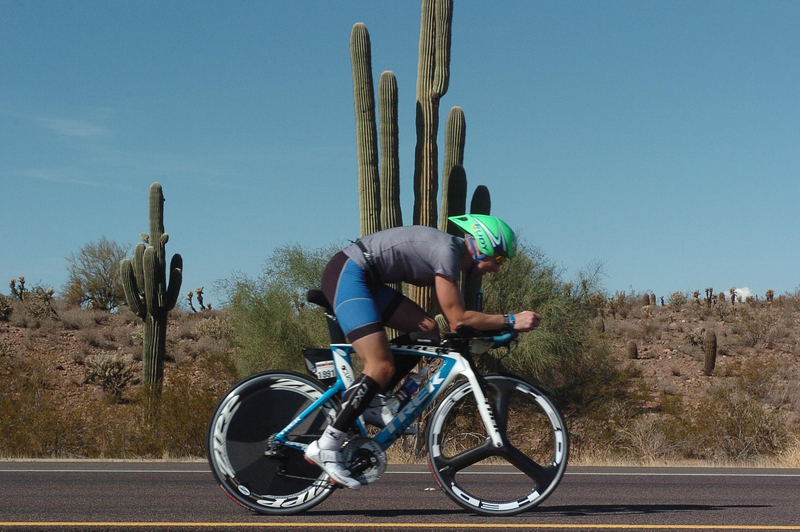 I have been on the course, it is hard and will be difficult to pace correctly with all the up and down, so I am betting my bike will be 30-40min off typical pace and it will likely impact my run 10-15min. So, race day performance goal is sub-12. This will be Ironman® #4 for me. This was kind of a last minute race for me as I only signed up three months ago. Looking to enjoy the day as the course looks beautiful. Florida nine weeks after this one. Let’s call Canada a real big training day for Ironman® Florida. 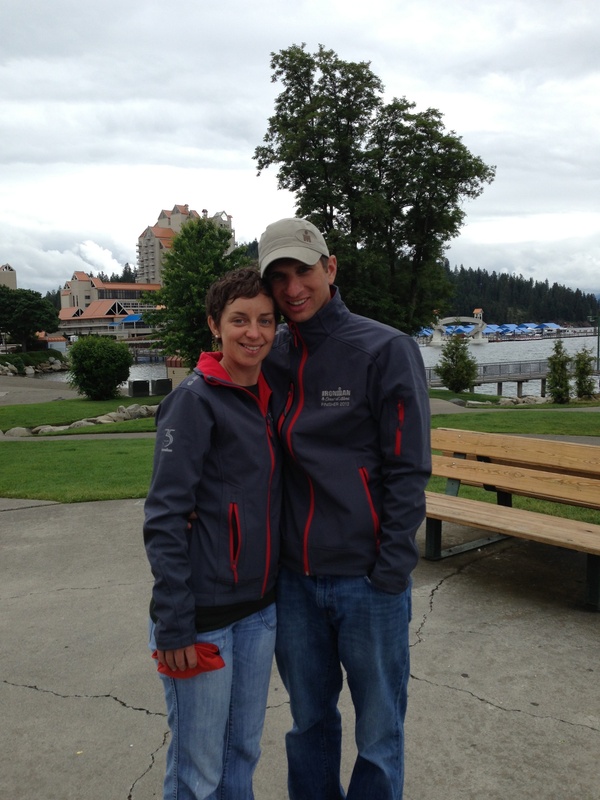 My husband (Danny) and I will both be racing IM Canada and it will be our second IM of the summer after Coeur d’Alene. We will be road tripping from Oregon for yet another racecation. 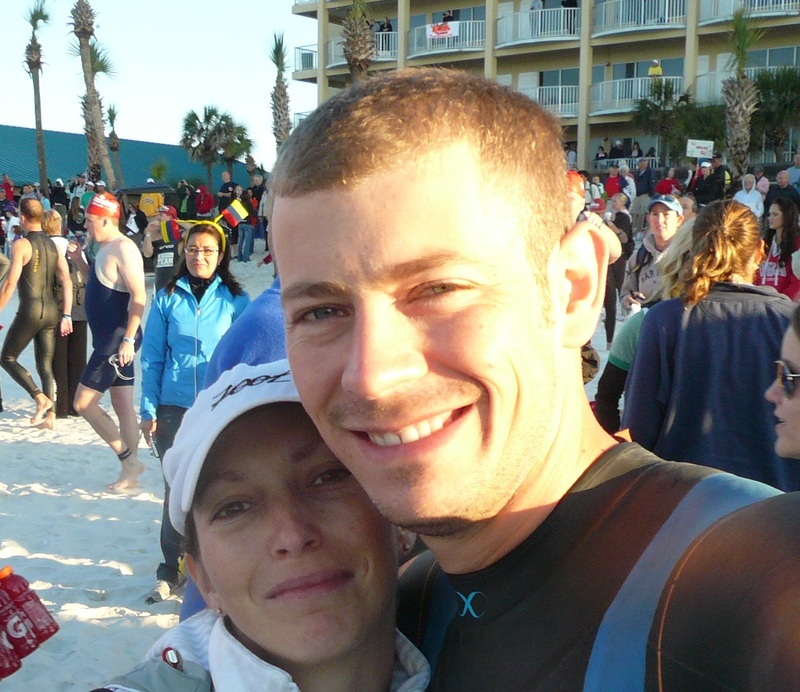 We have both been competing in triathlon since 2009 and have fell in love with the world of endurance sports. Number one goal for both of us is to finish Canada with a better time than Coeur d’Alene. We realize it will be difficult due to the nature of the course and the fact a double IM summer is incredibly exhausting but in the end is incredibly rewarding. There will be lots of uncertainties on race day, but there will always be plenty of time to look around, smile, and enjoy all of the beautiful landscapes Whistler has to offer. See you all north of the boarder! This will be my 3rd IM race. Been doing tri’s since got the bug in 2006 – did one tri and then did 8 more sprints that summer. 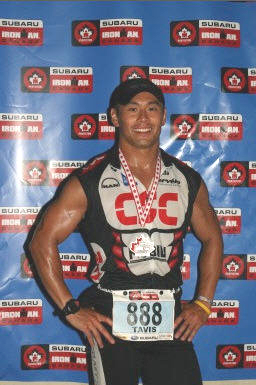 Graduated to an oly the next year, then 1/2 ironman and then my first IM in 2009 – Canada. I have done 15 1/2 ironmans….love that distance apparently. My MAIN goal other than finishing is to run more of the marathon. Both my marathons have been within 1 min of one another around 6:15. I live in North Bend WA – 30 miles east of Seattle with my very supportive husband Steve.